Raise your hand if you keep losing your remotes. 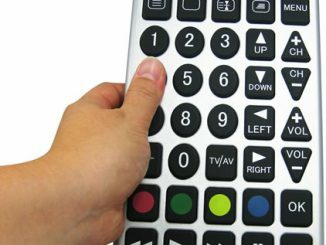 No matter how big and bulky they are, no matter how nice a home theatre you have…remote controls keep on disappearing, leaving us searching wildly and blaming the world for our pain and suffering. (Some claim that remotes warp into an alien dimension and get sucked into the vortex of a blackhole.) The Magic Wand Remote Control won’t get those remotes back and might even follow the other remotes into the blackhole. 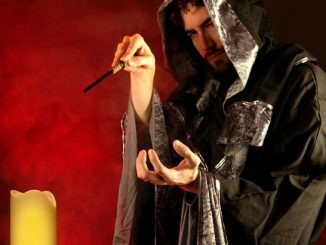 However, when you have the magic wand in your hand, you’ll look and feel like a powerful magician. 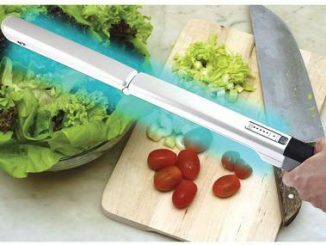 Be the Gandolf of your HDTV and power it on with an assertive move of the wrist. 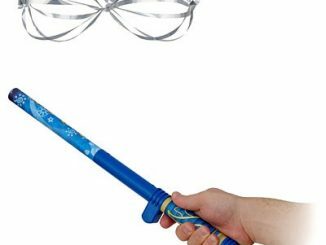 Be the maestro of your sound system and rotate the wand clockwise to crescendo epic fight scenes. 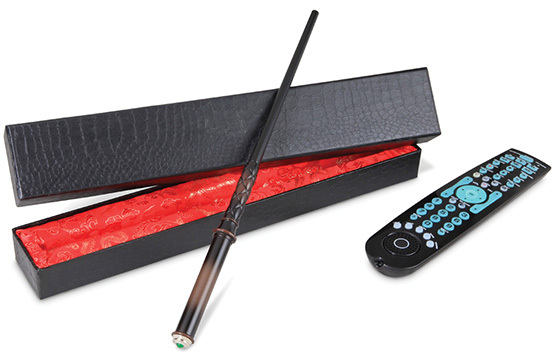 The wand basically turns you into a domestic Harry Potter Voldemort, because you can teach it to control other electronics in the house; fireplaces, iPod docks, projectors, DVD players, ceiling fans, robots…the list goes on and on. 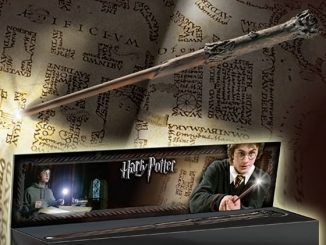 If you’re thinking of getting a gift for your geek friend (or geek Dad) who already has just about everything, this wand would score major points. 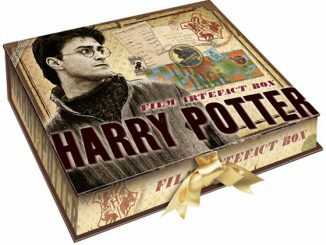 It comes in a posh silk-lined box, which will make the wand think twice about warping elsewhere. 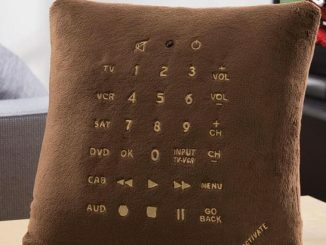 Compatible with most home electronics that use remote controls, including televisions, DVD players, DVRs, and more. Comes in a silk-lined box. 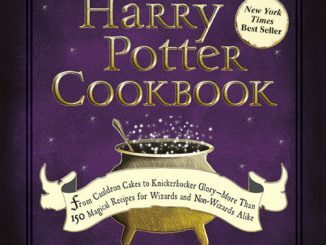 Measures 13-3/4″ L and weighs 3 oz. 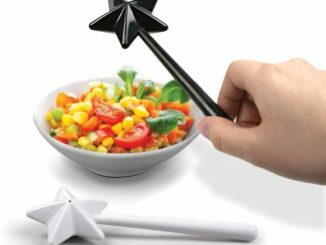 The Magic Wand Remote Control is available at Hammacher Schlemmer for $89.95. 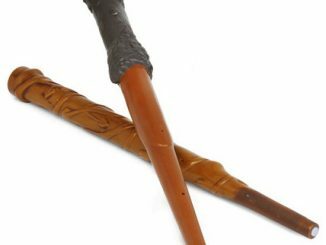 We’ve got other magic wands in the GA archives, too. 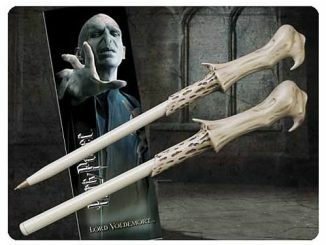 There’s the Harry Potter Voice-Activated Wand Flashlight and the Wand Activated LED Candle.